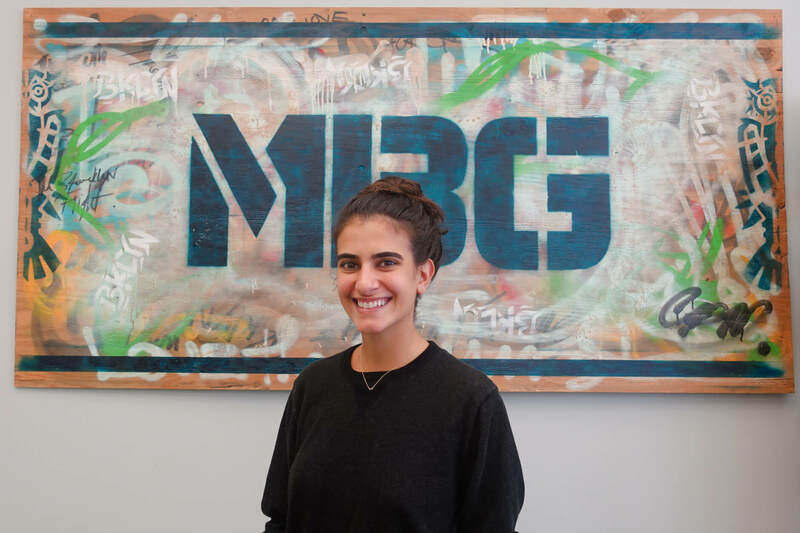 We sat down with Jenna Capizzi, the Manager of Culture and Events at mindbodygreen (mbg). She started working at the wellness brand two years ago as an office manager and her role has been transforming ever since. She shared her insight on being a new office manager and the qualities it takes to succeed in the role. What did you do before you became the office manager at mbg? I was a dancer in college and training afterward, but as I left the dance world I wanted to join a company that I was passionate about and I didn’t want to be in a corporate setting. I read that mbg was filling an entry-level office manager position. I had no idea that I’d be working so closely with the C-suite execs, but the company was growing fast and they needed a lot more than an office manager. I provided assistance with culture, office meetings, activity planning—like happy hours and team outings—and I began shifting more into culture as I began working with our events director to plan customer-facing events. Did you understand what the office manager role would be like when you applied? Did you have any idea what an office manager actually does? I had no idea when I first started about what an office manager actually does. In the beginning, if I didn’t know how to do something, I’d usually Google it. Our COO used to be my direct report, though, and assisted a lot by sending helpful resources and articles to me. Now I report to our two CEOs. By working so closely with them I really learn so much about how a company runs each day. I do our HR and job postings, since we don’t have a dedicated HR department; I also handle the onboarding and offboarding of employees. What does a typical day look like for you at mbg? I’m usually the first one in the office. I use the first hour to turn on some music and make sure there’s coffee brewing. If we have new employees starting that week then I’ll order their computer and make sure all of their onboarding documents and meetings are prepared. I typically have things planned with the events director and I’m always fielding questions left and right. I made a team Wiki on our Asana page (a team-based work management software). That way when people ask me questions like ‘how do I make coffee,’ I tell them to go look at our Wiki page—it’s full of relevant office info and local lunch spots, expense reports, etc. What are you most proud of in your role at mbg? I think the Wiki page is a highlight but I’m also proud of the amount of activities offered at the office. This morning we had brands here testing new products in the kitchen and we do yoga in the office once a week. I make sure we have around two things planned each week so that people can step away from their desks. I do an office meeting each month and we have fun team-building activities that promote communication with others—for example, we had everyone send in a baby photo and we had to guess whose was whose. 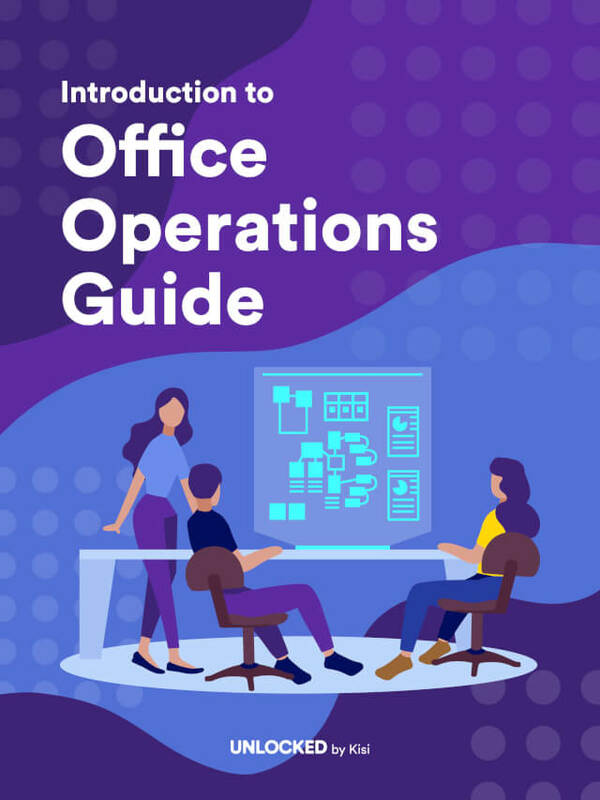 What do you think is most important for someone on an operations team? You should be really positive and the team cheerleader, everyone will see that and the energy will bleed into the way they walk into the office every day. If you’re complaining about management, other colleagues, or your role it’s going to be detrimental to a team. Make sure you are setting the tone and being the positive cheerleader! If you could give advice to yourself before you started what would it be? I said yes to a lot of things at first and because I was so eager I tried everything—from social to our art team—until I realized what I was and wasn’t good at. For example, after posting on our social channels I realized I was really bad at spelling and probably shouldn't’ do that. But my advice is always be able to ask if there are other opportunities that you can work on. I had a great relationship with my manager and, since I can see everyone’s calendars, I asked if I could sit in on meetings that I thought would be interesting. An office manager role doesn’t mean that you have to sit at the front desk, in fact, I think it’s the best position to be in because you get to work with everyone. An issue with any startup is that people have expectations when they start at a company, and since it’s a startup there’s a monetary confinement and it’s difficult to get everything you want and not have money for it. It’s been a process using the budget toward the right goals. I love mbg and everyone I work with, so I want them to feel the same way that I do—but the reality is that you can never make everyone happy. How do you establish goals for yourself and the company? I like to discover where I think a problem exists and build from there, aside from that I have a lot of ambitions that aren’t necessarily goals, so I’ll take an ambition and break it down into a more achievable goal. How do you communicate at mbg with remote employees? We use Slack to communicate and we’re starting to use Slack best practices more and more—for example, rather than sending people direct messages we’ll make channels for each group. That way it’s easier for people to jump in and search within the channel for what they’re looking for. We were originally using Zoom to communicate with our remote employees, but we found that our LA team prefer Google Hangouts. We always encourage video or face-to-face communication, and when do our monthly office meeting we make sure they’re included. Depending on what monthly activity we have, I try to loop them in as best I can. When we’re approaching the summer months—before summer fridays—we have an ice cream party at the office so I’ll get them ice cream delivered on the West coast, I try to find as many ways as I can to make them feel that they’re including. I have a different email list for the remote team so that when I send out our weekly email, the people that are outside the office don’t feel left out by all the activities we have going on. I keep myself open to everyone to talk, but I usually recommend that they speak to leadership or their manager directly. I always ask people if they need to take a walk around the block and chat for a second, but I definitely know when to encourage them to go chat with leadership and when to be a soundboard and let them talk it out. How do you define mbg’s brand at work? Do you do that through the events that you plan? We work really hard at mbg but our motto is to live a lifestyle that incorporates ‘You. We. All’; since we work so hard (we are a startup after all! ), some of us could probably do better at the work-life balance. We do a good job, though, at promoting things like our meditation room—our CEO is in there on the daily. People see him go in there and they think he just took 20 minutes, even though he’s so busy, I think I can take 20 minutes to meditate today, too. Aside from that we promote yoga in the office, stock the fridge with healthy things like oatmilk and almond milk, we compost, recycle, and have a lot of plants around. We also encourage people to wear whatever they’re most comfortable in—whether that means sweatpants or a suit. Project managers are important within the workplace, no matter what the job industry may be. Agile working is an increasingly popular concept, empowering employees and allowing them to work with maximum flexibility. It’s a question companies have been dealing with since the Industrial Revolution. How can we increase profit and minimize spending? We've got you covered with these 5 tips on how to cut costs. Why people will choose your company over your competitors.